All of the commercial activity that takes place in the 46,450 sqm landmark Millennium Point building feeds back into the charity, enabling it to donate and invest in STEM-related organisations, projects and initiatives. 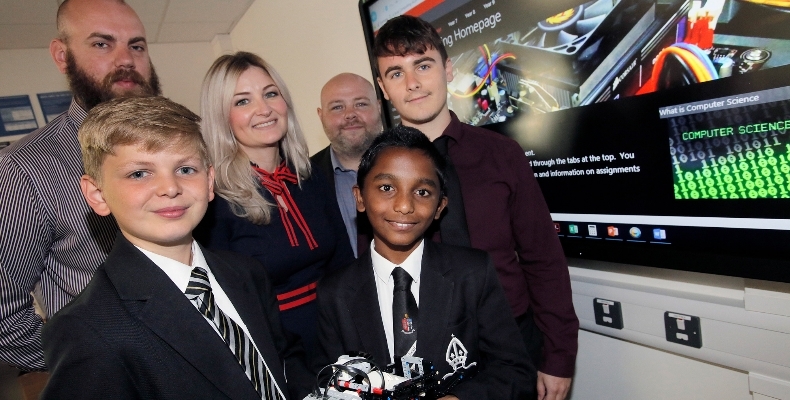 This has included a robotics lab and 3D printing facilities at Bishop Vesey Grammar School in Sutton Coldfield, allowing students from surrounding schools to gain experience, knowledge and skills in advanced technology; more than £281,000 to fund four projects by Birmingham Museums Trust including Year of the Engineer 2018 and a Science and Heritage Career Ladder Legacy; working with Birmingham City University’s Faculty of Computing, Engineering and The Built Environment to offer a free undergraduate STEM degree through the Millennium Point scholarship, now in its fifth year. Applications for the 2019 scholarship are now open. Opened in 2001, Millennium Point is the largest landmark millennium project in England, outside of London. Inside, it is home to unique event spaces including a 350-capacity auditorium, flexible workspaces, meeting rooms and offices, and largest tenants ThinkTank and Birmingham City University (BCU).